WRAP’s action plan to maximise the amount of household and commercial food waste being collected and recycled in England is due for publication this summer. The Food Waste Action Plan is being developed by a steering group set up last autumn under the leadership of Resource Association chief executive and former WRAP official Ray Georgeson. The group comprises representatives from the food waste treatment industry, local authority food and private sector waste collectors and other industry bodies. Its goals are to maximise the amount of food waste collected and to secure its supply as a key feedstock to the organic sector. According to WRAP, seven million tonnes of food is wasted by households every year, and capturing more of it would help the UK to get closer to the EU target of 50% recycling by 2020. Following a meeting of the steering group on 14 March, an draft of the plan was completed. 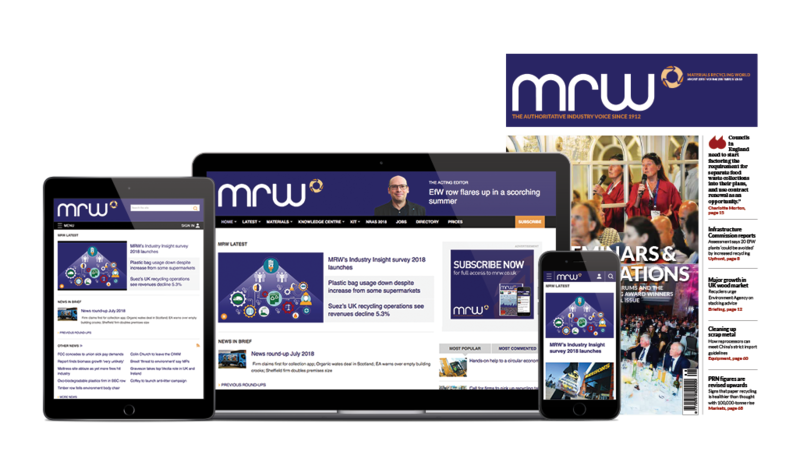 It included a number of proposed cross-industry actions which are being reviewed by the steering group members and their organisations ahead of publication, which MRW understands has been pencilled in for July. At the launch, the plan was originally slated for March.